Friday, January 25, 2013 – 5:30 p.m.
Honduras scored in the 67th minute. 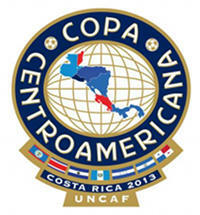 Next game: Honduras vs Costa Rica on Sunday, January 27, 2013. The Honduras National Team continued into the semifinals of the UNCAF Central American Cup 2013, and played Belize (Belice) at 5:30 pm on Friday, January 25, 2013. Honduras is at the top of Group B, despite only tying in all previous soccer matches played at the National Stadium in Costa Rica. Friday’s game was the final round of semifinals for Honduras in the UNCAF Copa Centro Americana. Honduras has already secured its entrance into the Gold Cup, and will be playing the United States of America in the the Hexagonal beginning Feb. 6, 2013.